For the first time ever, we are launching the direct global webcast of the event from the Ashram. 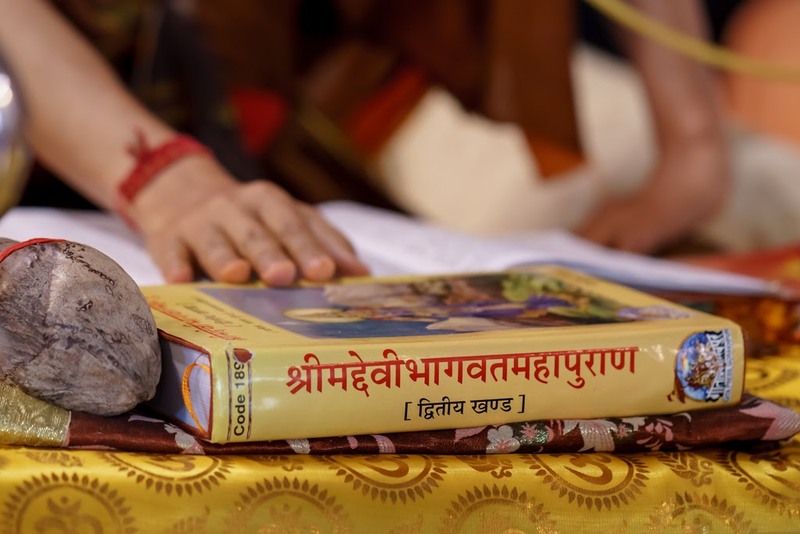 The five-day Devi Bhagavatam Katha (Apr 5 - Apr 9) can be attended virtually. It will be the first time that Swamiji himself will be the orator of Devi Bhagavatam in Hindi. (2) Recording of the event within 10 days after the live transmission. The recording of the event will be available for view after the Day One live session. Rs. 3982 per person for Indian residents. US$ 59 for overseas residents. What is the agenda in the sessions that will be streamed? Swamiji will be narrating the Katha in the morning session of 10 am - 12 noon which will be streamed. Can I communicate with Om Swamiji during the Virtual Live streaming? No, this is a one-way direction streaming session. You can hear and see Om Swamiji Live but not the other way around. Can I attend this from my home? Yes, the event will be accessible from any place you wish to see. You will be able to view it from your smartphone, tablet or any computer. What will happen if I miss attending one day`s session? Can I get a recording? The session will be accessible for one view of all the sessions within 10 days after the livecast of the event. We will not be able to provide any recordings thereafter. The link provided for viewing the session is a personalized link and not transferrable. How do I view the link? You will receive a personalized link for viewing the event through an email with all the guidelines 10 days before the event, after you have registered and paid for the session. Please note that any fees paid is non-refundable and non-transferrable. Q. Who do I contact in case of any query?